What you have heard about leadership is only half the story. 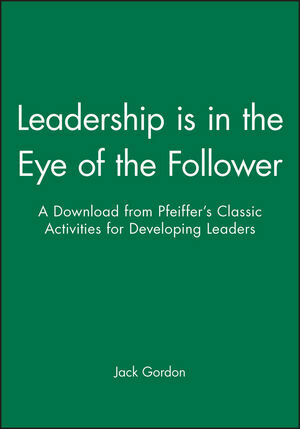 Leadership is not just about leaders; it is also about followers. This article by best-selling authors Jim Kouzes and Barry Posner discuses how leadership is a reciprocal process. It occurs between people. It is not don by one person to another. Jack Gordon served for fifteen years as chief editor of Training Magazine, North America's leading monthly covering workplace training and development. His articles and columns on training subjects have appeared in publications including The Wall Street Journal, San Diego Chronicle, and Minneapolis Star Tribune.